We are pleased to announce that The Developing Human: Clinically Oriented Embryology, 10th edition, is now available in an Ebook format. From the record in the library catalog, click on the link for EBSCOhost Ebooks. We have 3 “copies” available, so we are allowed 3 concurrent online users. 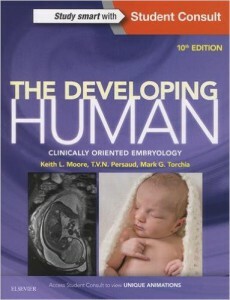 The print edition is on reserve for ANAT 100 – Gross Anatomy and ANAT 101 – Human Prenatal Development. But we think you’ll find the electronic edition to be much lighter. 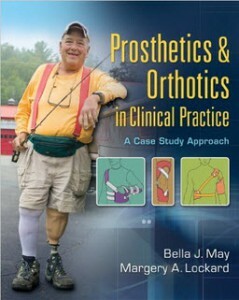 Print book on Reserve: Prosthetics & orthotics in clinical practice. Prosthetics & orthotics in clinical practice, by Bella J. May, is now available in print on the Isché Library Reserve shelves, Call Number: WE 172 M45 2011. As mentioned in a previous post, due to high demand this book is also available online: https://www.lsuhsc.edu/library/news/?p=11484. This book is required for course PHTH 7234 – Prosthetics and Orthotics in Physical Therapy. We hope this additional access will be helpful! Prosthetics & orthotics in clinical practice, more access available! Prosthetics & orthotics in clinical practice, by Bella J. May, is now available online through the EBSCOhost eBooks platform, as well as through the R2 Digital Library. The Library was able to purchase multiple-user access through EBSCO, so now more than one user can access the book at the same time. Our R2 Digital Library access for this book allows for one user at a time. Both platforms offer a variety of options for saving and printing content. To see our other EBSCOhost eBooks, visit the full collection through our database page: https://www.lsuhsc.edu/library/databases/ebooks.aspx. To see our other R2 Digital Library titles, visit the full collection here: https://www.lsuhsc.edu/library/databases/r2library.aspx. To see a list of all of our ebook collections, please visit the eBooks libguides: http://libguides.lsuhsc.edu/ebooks. Book request form now available online! The Collection Development Department is pleased to offer a new web page for its services: http://www.lsuhsc.edu/no/library/services/colldev.html. ?á Collection Development is primarily responsible for ordering books,?ámanaging?áreserves, and processing donations. ?á Patrons can now submit book requests online and find important information regarding?áreserves and donations. ?á We hope you will find?áthese features?áto be helpful! The Library is pleased to announce the availability of the “Course Reserves” module in the library catalog, INNOPAC. 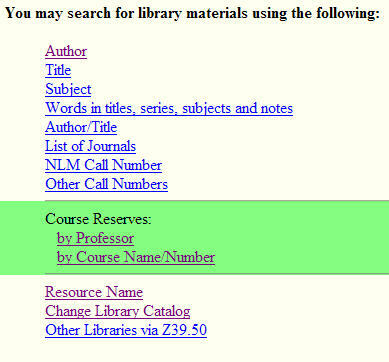 Library reserve items can now be located using the Course Reserves module to search by either Course or Professor. Check out a quick video (link REMOVED) demonstrating the steps. If your current course is not listed, please have your instructor submit a booklist or syllabus to the library. Please contact your Library Liaison or Collection Development Librarian, Marlene Bishop for further information.